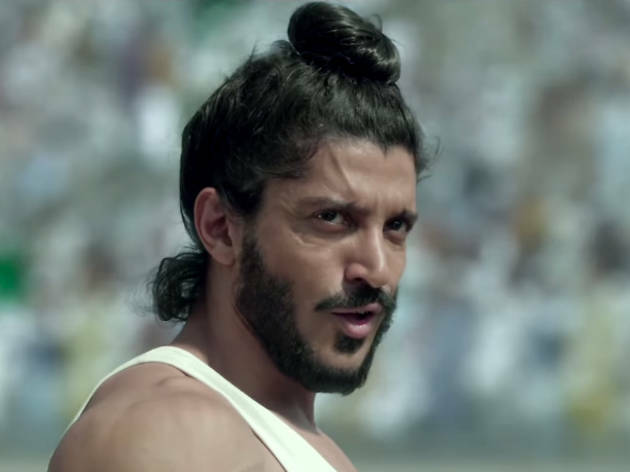 Known as ‘The Flying Sikh’, India’s Milkha Singh almost won the 400 metres final at the 1960 Rome Olympics. But just as Singh was about to triumph, he lost his concentration and ended up coming fourth. Singh’s defeat was regarded as a national disgrace by a newly independent nation that was still struggling to find its feet and had placed high hopes on Singh’s Olympic victory. This biopic opens with images of Indians burning effigies of their fallen hero. It then charts the unconventional extraordinary life of the legendary, sometimes barefooted sprinter. It moves from his traumatic childhood during the 1947 partition of India to his eventual return as an adult to his old home in Pakistan. On one level, this is your standard ‘victory for the underdog’ story, but director Rakeysh Omprakash Mehra’s capable handling of the material ensures that it is always engaging and moving. 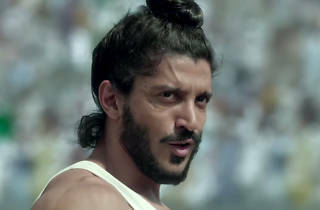 Talented and handsome lead man Farhan Akhtar is a convincing, magnificent Milkha. He dominates most scenes and brings depth and integrity to a complex character. Brit-actor Art Malik (in his Bolly debut) struggles with his Punjabi accent as Milkha’s dad, while Sonam Kapoor as the beautiful Nirmal provides an obligatory, thankfully brief love interest. Overlong and stuffed with too many catchy but unnecessary songs, this worthy film is nevertheless indicative of a more sensible and sensitive side of Bollywood.